Dr. Fares Kilzie has served for 15 years as Chairman of Creon Energy. Under Dr. Kilzie’s management, Creon Energy successfully oversaw hundreds of strategic management and consulting projects for leading market players in Russia such as Gazprom, Lukoil, Novatek, Sibur, just to name several. With over 20 years of success, Dr. Kilzie is one of the most experienced authorities and specialists for the petrochemical industry in Russia/CIS. Founder of Russia’s leading advisory company for oil and gas downstream, Dr. Kilzie has been instrumental in all projects to process gas and refine oil into finished products such as the Amur, Yamal and other LNG projects. While being globally well connected, Dr. Kilzie is widely recognized as an independent expert for industries across the region. Dr. Fares Kilzie is considered as one of the leading professionals in his field in Russia. Dr. Kilzie is Chairman of the Board of Directors of CREON Group, a leading consulting & advisory company in the petrochemical sector in Russia. CREON Group is known for its unprecedented industry expertise and its comprehensive communication with market participants. Since 2013, Dr. Kilzie has been paying particular attention to the projects designed to promote Russian initiatives at an international level. Russia is sorely in need of capital for new petrochemical projects with financial input from abroad, depending heavily on attitudes towards Russian business. This vision has led Mr. Kilzie to initiate the establishment of Creon Energy Fund SCA SICAV-SIF in 2016. After graduating from the university in Rostov (Russia) in 1993, Dr. Kilzie started to work in Germany. As one of the rare industrial experts on the Russian oil and gas downstream industry, he established contacts between German companies such as Bayer and Degussa and Russian suppliers of chemicals. In 1995, he established FABA CHEMIE GmbH and started to assess activities and competitive production of chemical and petrochemical industries accross Central and Eastern Europe. He established the company as a provider of administered project risk insurance for projects in Russia, as well as a consulting business to evaluate technologies and project financing options. Dr. Kilzie worked on project development and implementation to optimize the direct delivery from Russia and CIS countries. These activities helped both the Russian petrochemical producers to access foreign markets, and international corporations to develop Eastern markets. 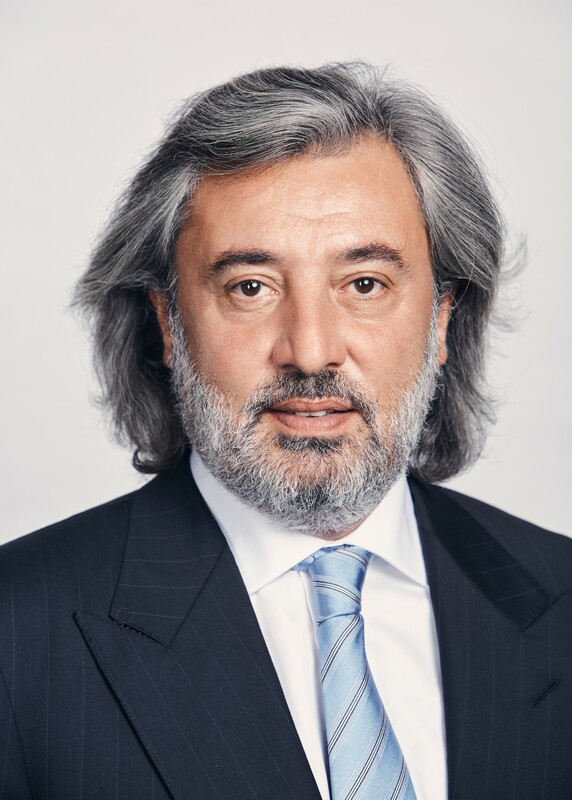 Finally, his role as a mediator between East and West is the reason why Dr. Fares Kilzie today is seen as the best connected and experienced independent play in Eurasian oil and gas downstream industries. In 2001, Dr. Kilzie founded RCC (Russian Chemical Consulting), the first independent, industry-specific information provider. The web-portal delivered relevant information on global and Russian chemical and petrochemical markets, analytical materials and expert opinion from industry professionals to clients in global markets. Today RCC.ru remains one of the most respected corporate information portals in Russia specializing in distributing news and informational support, with weekly Russian language updates. In 2002, CREON was established as a domestic marketing and consulting firm for petrochemical and other related industries. As the founder and CEO, Dr. Kilzie’s team devised business plans, feasibility studies, due dilligence projects and financial models in accordance with Russian and international standards. CREON quickly earned a reputation as an independent consulting company providing market research, market entry strategies and development programs for the industry. Important clients were Lukoil, Bashneft, Gazprom, Novatek and Air Liquide. CREON contributed to large-scale projects such as Yamal LNG and the Amur gas processing plant. The company also continuously promoted the development of regions such as Yamal, Irkutsk and the Russian Far East. By 2012 CREON grew into a group of companies hosting more than 40 events and conferences for industrial segments such as helium, methanol, gas condensate and polymer components for the automotive industry. Today, the conference business provides a database of more than 10.000 active contacts accross the entire oil and gas downstream and midstream industry in CIS countries and Europe. While using conferences as a marketing platform, the consulting business of CREON group also continues to grow. In the meantime, the development of CREON Group increasingly shifted towards international projects. Russia is sorely in need of capital for new petrochemical projects challenged by foreign investors with rather negative attitudes towards Russian businesses. This vision has led Dr. Kilzie to initiate the establishment of CREON Energy Fund (Sicav-SIF). This process concluded in August 2016, when the Grand Duchy of Luxembourg issued the license for running a strictly regulated Sicav-SIF Fund. This investment vehible provides high-level asset protection and risk mitigation, which are crucial for investments in Emerging Markets. A crucial advantage for CREON Group’s development has always been the presence and leadership of Dr. Fares Kilzie. With his highly-developed leadership abilities, professional intuition, strategic thinking, commitment to innovation and excellent communication skipps, he has laid the foundation for the Group’s further development. Utilisation and disposal of associated petroleum gas (APG), oil sludge and oil waste is a large topic for Russia today. Dr. Fares Kilzie was on of the first independent advisors who raised these issues, but even more: CREON established with its long-standing parntner, the Worldwide Fund for Nature (WWF), a rating of environmental responsibility, which was first conducted and published in 2014. In the meantime, the rating of large oil and gas companies in Russia proved to be an efficient tool to push developments in terms of environmental responsibility. Since 2017, the rating is being presented in Berlin. In 2018, CREON and WWF published a rating of oil and gas companies in Kazakhstan. In the near future, a rating of global oil and gas companies will be conducted. Dr. Kilzie’s vision to strengthen Russia’s industry by enhancing constructive dialog and knowledge exchange with foreign partners, led to a partnership with the Russian International Affairs Council (RIAC), chaired by the former Russian minister of Foreign Affairs, Igor Ivanov. The goal was to contribute to the establishment of a communication channel between state, expert community, business, and foreign organizations and structures. Since then, important conferences on Russia’s relationships with Turkey and China have been held with the active support of Dr. Kilzie and CREON.